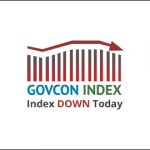 The Executive Mosaic GovCon Index (GCI) continued to drop for the sixth consecutive day to close at 107.751 off 0.672 percent. Declining shares outpaced advancing 3 to 1. 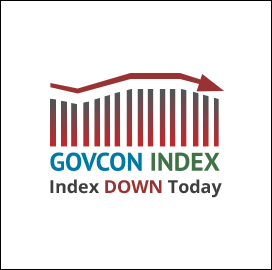 The three major indices all declined for the day. The S&P500 closed down 0.32 percent to 2,572.83, while the DJIA closed at 23,348.74 a negative 0.36 percent and the NASDAQ Composite pulled back slightly to 6,698.96 off 0.03 percent. WTI crude oil on the NY Mercantile Exchange moved upward by 0.45 percent to $54.14 per barrel, reaching an eight month high.